Finding a great SEO company can make a huge difference in how your website performs in the search engines, which in the end, can make a huge difference in how many potential customers actually find your business. But finding the right Search Engine Optimization company can feel like a daunting task. It can seem hard to know what to look for. When looking for an SEO company to work with, ideally, you should work to find an experienced team that is passionate about meeting deadlines and overcoming tech barriers. But at the same time, make sure the SEO experts admit that no one – not even tech’s best engineers – can guarantee high search rankings. Techies need to speak in the clear language and ask questions. The internet is about speeding up the flow of information and improving communication, no communication breakdown. Communication is the core concept that makes the internet work since it is merely a network of computers communicating with each other. Likewise, the SEO expert should be able to answer all your questions with clear simple language, the same way a computer is a complex device designed to provide simple solutions. One way to check the credibility of an SEO company is to find out how popular their sites are with traffic monitoring sites like Alexa, Quantcast, and ComScore. Ask for a list of client domains and associated keywords so that you can research traffic and search rankings. Compare these results with how well your best and worst competitors rank. Then, when possible, follow up with the SEO team’s successful clients and ask for reviews. In order to maximize SEO, it’s important for the company to understand its three levels of influence, which are technical, on-page, and off-page optimization. The technical aspect of SEO is that the site’s structure must be simple for search engines to index. 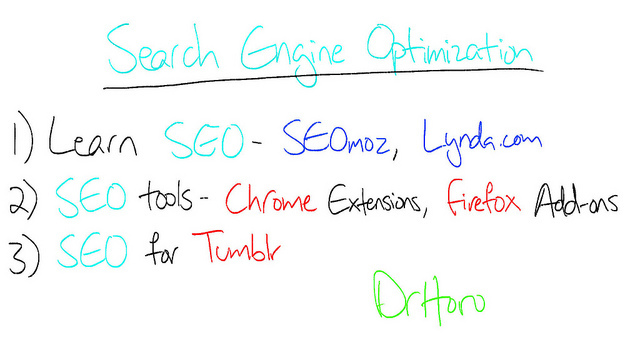 On-page optimization is all about using appropriate keywords and proper HTML. Off-page optimization includes link building. Combining all three of these levels increases your chances of getting high search rankings. SEO experts need to understand how your content should direct users to specific information pages and product pages. That same content needs to be designed to generate curiosity among new prospects. According to a Forbes article, Jack Hadley thinks the design is not nearly as important as content, especially since big graphics can lead to a slow-loading site. He encourages web designers to craft their sites more like reports than brochures. In order to gauge marketing expertise, ask SEO candidates questions about the purpose of content marketing. If they tell you it’s just to game search rankings they are missing the point to why Google keeps updating its algorithms, which punishes manipulators. The actual purpose of content marketing is to provide useful, comprehensive information to interested researchers. Even though every business wants success, each business has its own identity. The SEO company must understand your business plan, your goals and the metrics that measure your success. They need to have a broad understanding of the business world, human psychology, and your target market as well as the components of SEO. Those components include keywords, social media, web design, content development, product pages and how online content can go viral. In the big picture, a search engine optimization company needs to understand how calls to action generate leads, which convert into sales. Online marketing statistics show that the more landing pages you create, the more leads you can develop. It’s also true that websites with over 500 pages usually get better search results than 5-page websites. In other words, there’s no avoiding the hard work it will take to build an effective and successful website. Feel free to leave your comments below if you have anything to say. The writer of this article, Nicole, has been writing about Search Engine Optimization and Internet Marketing for years.